A Ponzi scheme that bilked over a hundred billion won from Korean citizens in 2008 that caused multiple suicides led to a manhunt for the culprit. Unfortunately Jang Doo-chil escapes to China, with the help of a retired counterfeiter who was found later dead from an apparent self hanging. The counterfeiter's son vows vengeance for his death. This South Korean heist film directed and written by Jang Chang-won in his first solo project dominated the ticket sales during it's opening week, beating out Justice League. In the present time, three grifters (Bae Sung-Woo, Nana, An Se-Ha) who are under the control of Prosecutor Park (Yoo Ji-tae) are set on a task to search for Jang who is rumored to be still alive after everyone believed he had died in China. They find a former associate Choi (Lee Kang-Suk) who is also a con artist. He's currently trying to get an old gentlemen to invest in a real estate scheme. Instead the old guy ends up scamming him using the same playbook as Choi. The team, grabs the old guy who turns up to be Hwang Ji-Sung (Hyun-Bin of Secret Garden fame), who is the son of the counterfeiter. Before Park can throw him in jail, Hwang tangles some first hand knowledge of Jang and that he is hiding out in Thailand. 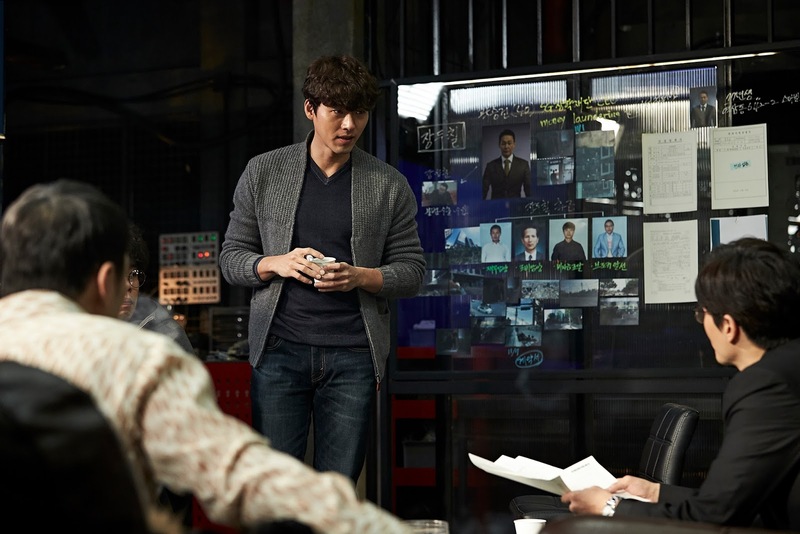 Park decides to work with Hwang who insists that he is in charge of the plan. Park is under enormous pressure from his superiors who had profited from Jang's schemes and would like to get him out of the way permanently. Hwang tries to lure Jang in by offering money laundering though a casino operation. Jang's money man Kwang Seung-gun (Park Sung-Woong) comes to assess the situation. The team has to show a large pile of cash to complete the scam. with twists and turns and it's almost a surprise as the conclusion comes to it's satisfying ending. Just don't think too closely at the plot holes that will nudge you afterwards. It's fun, full of double and triple crossing. The bad guys get their justice and the good guys you want to come back and do a sequel.